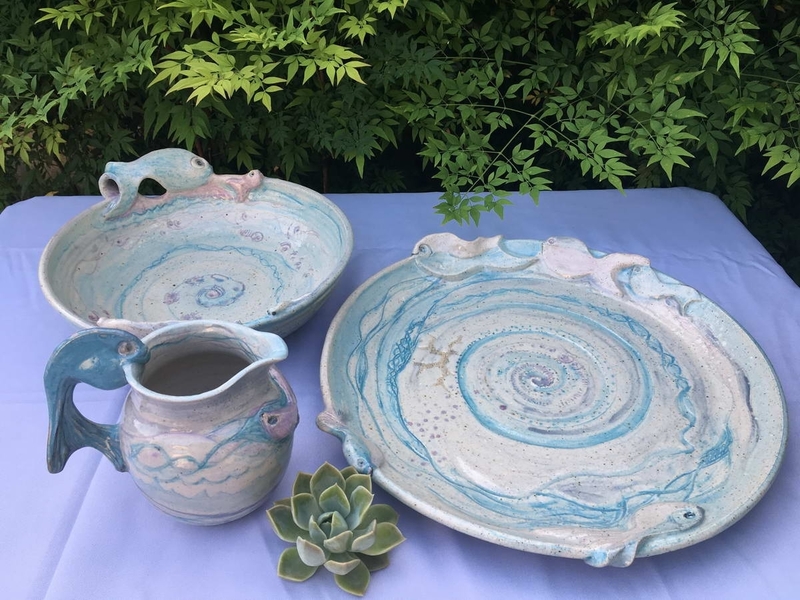 Sharon Mitrie opened her own pottery studio in Pretoria in 1977, soon after she obtained her Ceramics Diploma in 1976. 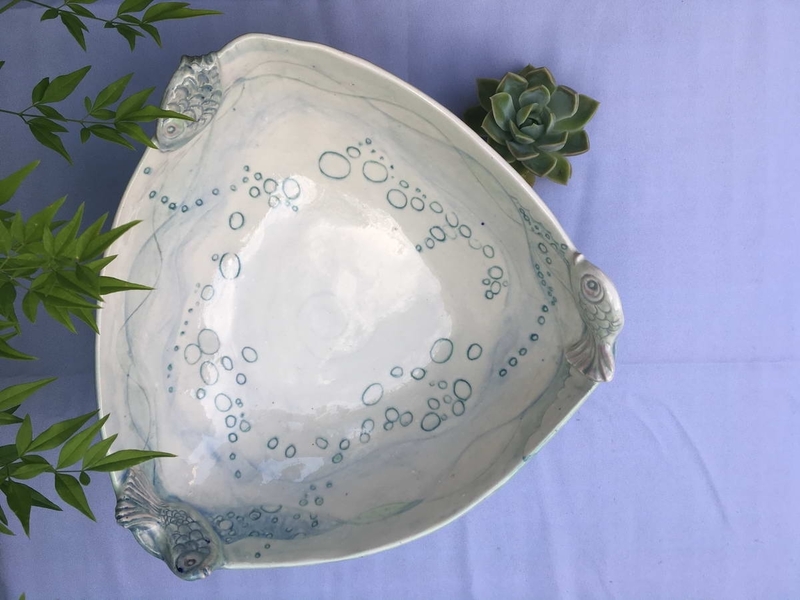 Just before she started out on her own, she spent three months working with Gillian Bickell in Fourways, Johannesburg. 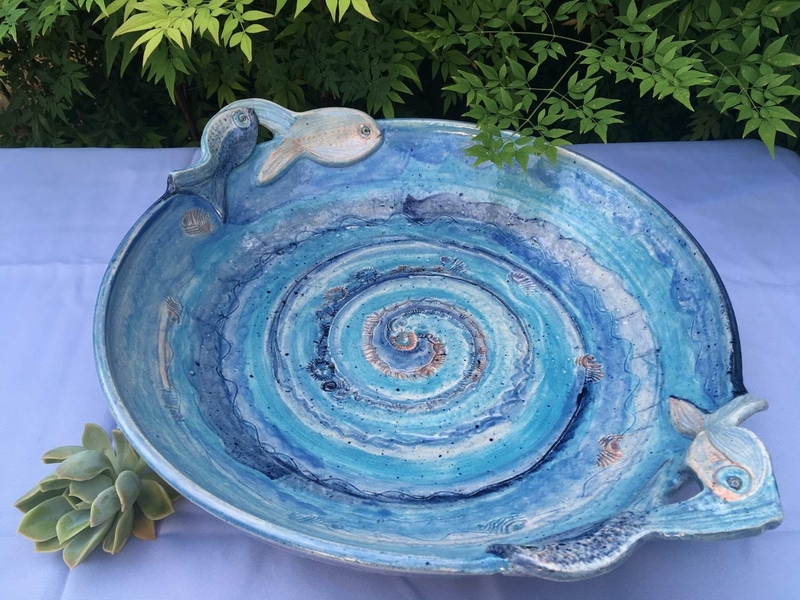 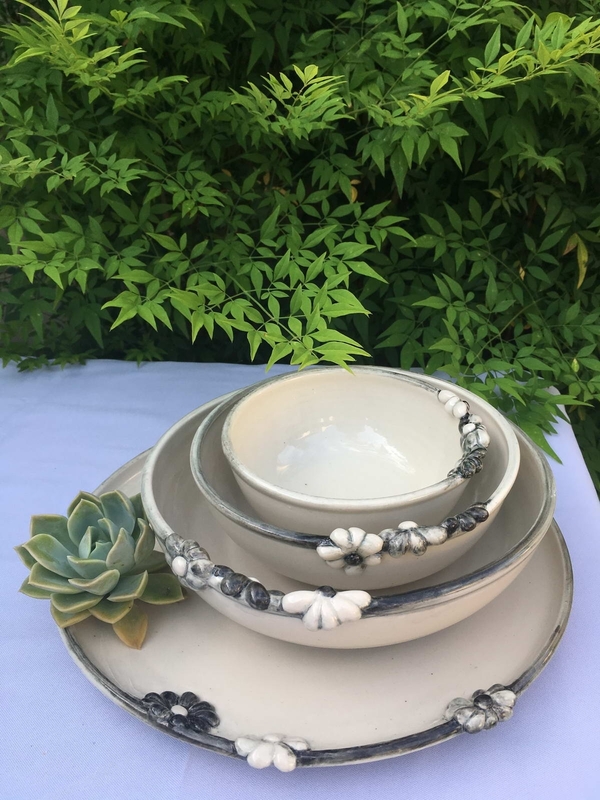 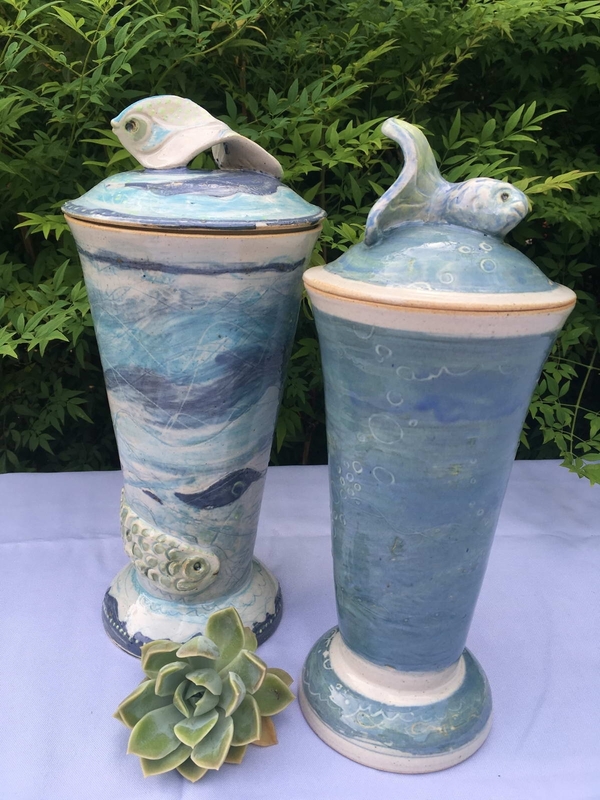 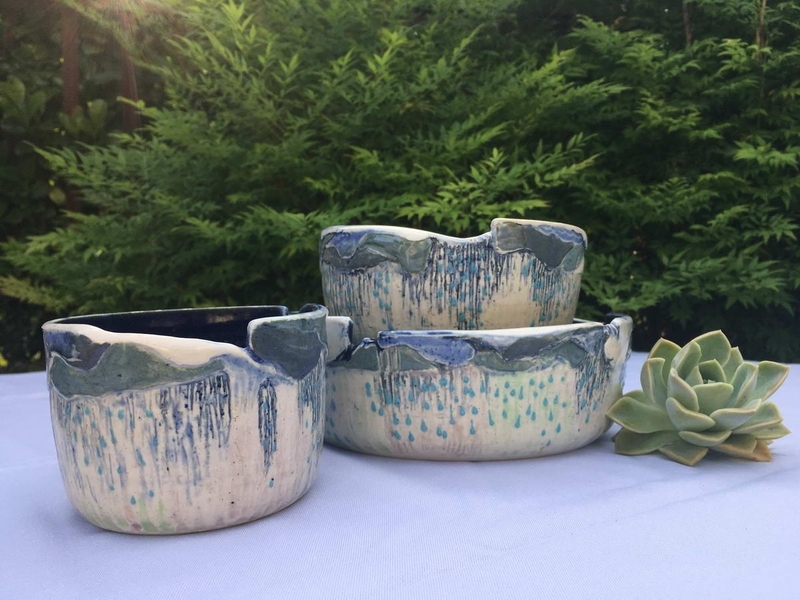 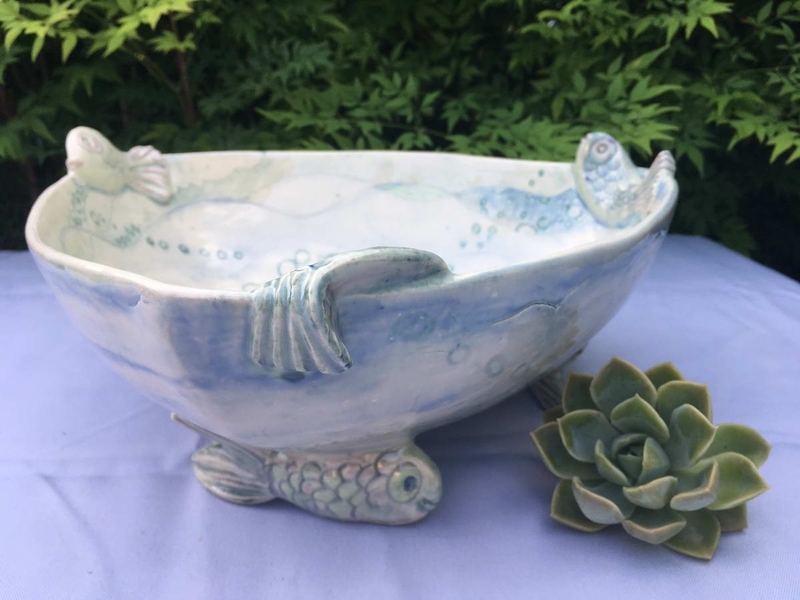 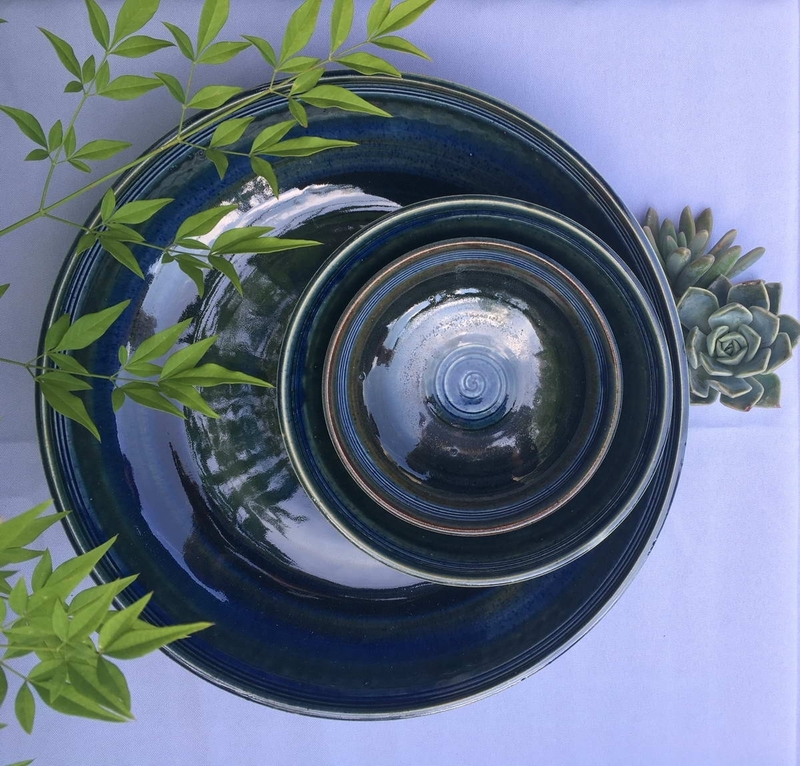 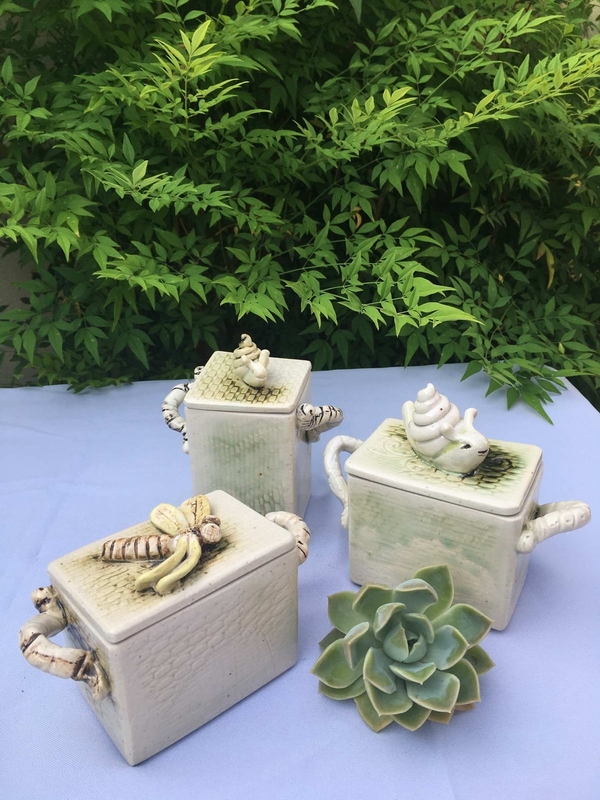 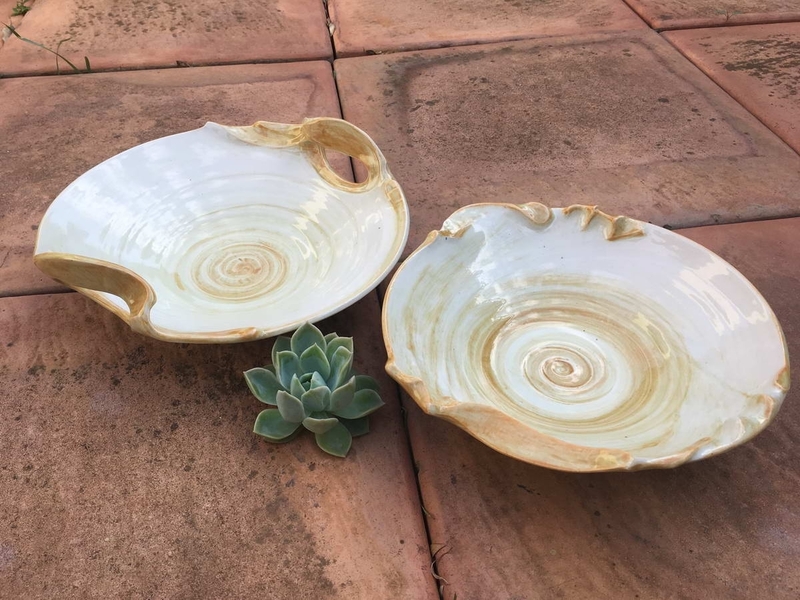 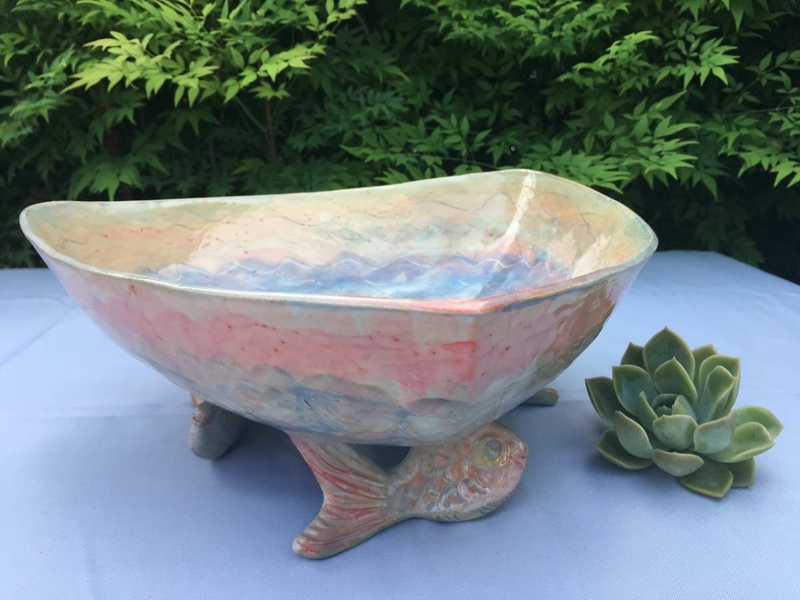 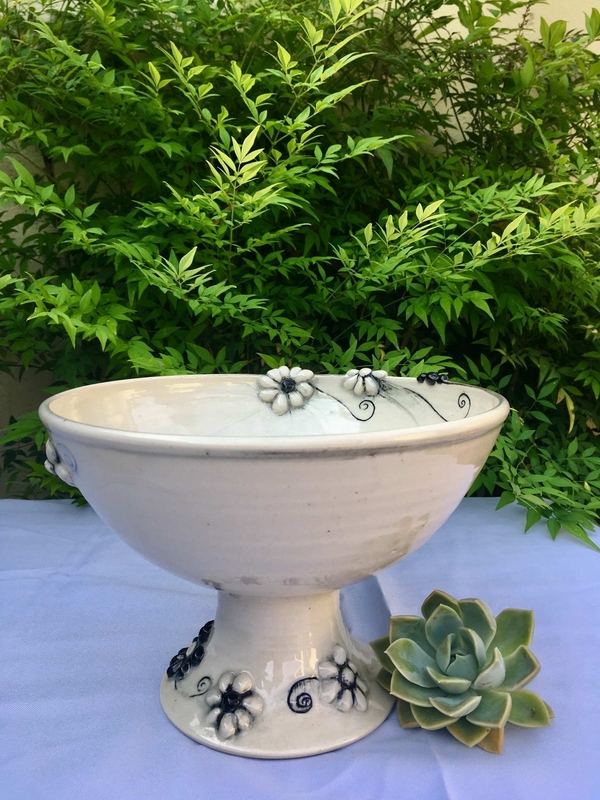 During her pottery career Sharon has completed many private commissions such as table ware of all descriptions, wash basins, murals, miniature planters, plaques, vases and various odd requests for commodities made from clay. 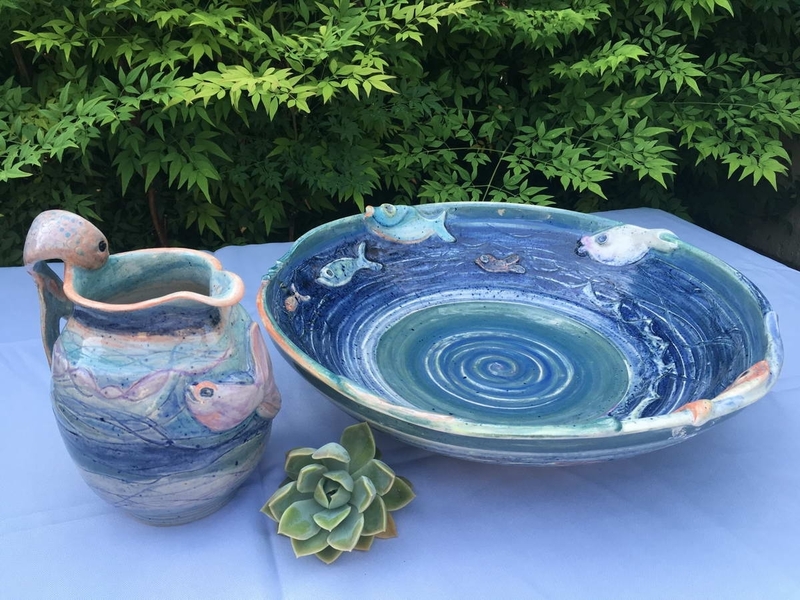 Teaching is an ongoing passion and as her aim was to master the potter’s wheel, she enjoys sharing her knowledge and expertise of this skill to others.